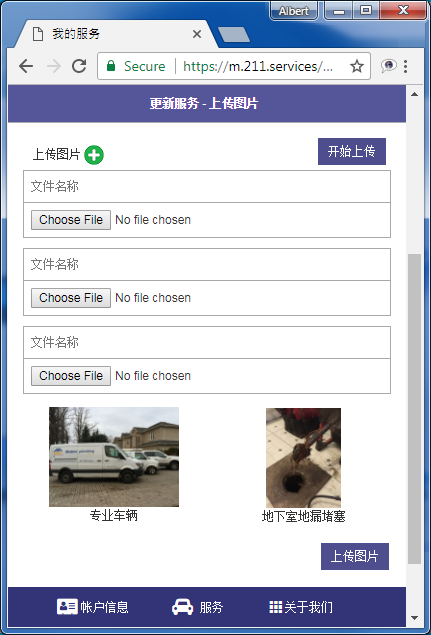 Initiate 3 file input box, put Add button on top of the form to add more file input box dynamically. Using ajax to upload files to the server for processing in batch. When page first loaded, show existing images, when upload files completed refresh all images. Long-press the image to popup delete confirmation window to confirm for image deletion. set variables for new file input box, and file identity.